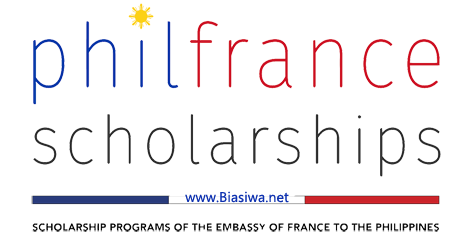 PhilFrance Scholarships 2019 - French Embassy launches PhilFrance Scholarships program for Filipinos - The call for PhilFrance Scholarships applications for the September 2019 intake is open. The Embassy of France to the Philippines is now accepting applications for the PhilFrance scholarship program for the Academic Year 2019-2020. The PhilFrance Scholarship is a French government scholarship award directed to the next generation of Filipino students who have shown strong academic, leadership and professional abilities, and who wish to study in France for a graduate degree (Master's and PhD levels). It is awarded to highly qualified candidates who have demonstrated strong academic and leadership qualities in their scholarly and professional activities. A degree-awarding graduate program (Master's or PhD) taught at a French higher education institution (public or private), in academic disciplines only. Since 2016, over 40 Filipino scholars are currently pursuing or have recently completed their graduate degrees in the French language and literature, business, public policy and governance, engineering, mathematics, marine biology, applied chemistry, environmental and ecological sciences, and public health. Most Filipinos studying in France are part of undergraduate exchange programs between partner institutions or pursue master's degrees in the fields of business, natural sciences and engineering, social sciences and humanities. PhilFrance scholarship program benefits include a partial tuition subsidy, a monthly allowance, a healthcare package, and priority access to public student accommodations for the expected length of their academic programs. NB: Please note that the stipend may be suspended during internship periods (which are usually part of most graduate degree programs). 1. Application must be done online via the link below. 2. Details and guidelines on eligibility, awardees' benefits and application requirements and submission are available through the PhilFrance Scholarship Program website through the link provided. This website also contains useful information for applicants to explore higher education institutions and programs offered in France. For more information, contact manille@campusfrance.org. 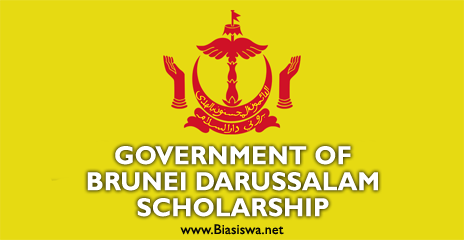 Brunie Darussalam Scholarship 2019 - The new call for applications are now open for Brunie Darussalam Scholarship on Enhancing Professional Communication Skills for ASEAN. UBD-FPT Global Centre is a collaborative project between Universiti Brunei Darussalam (UBD) and FPT University (FPTU) aimed at improving English profciency and professional communication skills in the region. The Centre aims to be the leading English Language training centre in the ASEAN region. This programme helps participants improve their professional communication in English. The training focuses on specific creas of communication in English: writing e-mails, speaking in meetings and interviews; giving presentations, and networking. This programme can help participants achieve increased confidence and professional goals. This programme is designed to train participants in the four core skills of listening, reading, writing and specking. Throughout the programme, participants will engage in different tasks which include practices especially in the areas of reading and vocabulary development. Applications are open to citizens of ASEAN (Indonesia, Thailand, Malaysia, Singapore, Philippines, Vietnam, Myanmar (Burma), Cambodia, Brunei, Laos). Applicants must be within the age range of 20-35 years. Applicants must possess a minimum qualification of post-secondary school certificate. Applicants must be certified to be medically fit to undertake the scholarship and to study in UBD-FPT Global Centre in Da Nang, Vietnam by a qualified medical practitioner who is registered with any Government Authorities prior to arrival in Da Nang, Vietnam. All costs incurred in obtaining this certification are to be borne by the applicants. Applicants with English proficiency level of an IELTS score at least 5.0-5.5 or equivalent. In some, but not all cases, applicants may be required to sit for an English Proficiency Test (EPT) and they will be contacted by UBD-FPT Global Centre. Health insurance for the whole duration of the programme. 1. Apply online through Online Admissions Application System (OASys) from the link below. Please fill in all the mandatory fields. You will not be able to save or submit the application if any of the fields are missed. Please ensure applicant's e-mail address is stated correctly. An application code will be sent to this e-mail address provided after saving (to submit later) or submission of the application form. Applicants must submit the application before the closing date. Incomplete forms or forms with no supporting documents will NOT bo processed. The selection process involves careful, individual reading of each application and will be carried out by the selection committees comprising officials from UBD-FPT Global Centre and Brunei Darussalam. Upon successful completion of the programme, participants will be awarded with a certificate by the UBD-FPT Global Centre. UBD reserves the right to terminate or revcke the Scholarship awarded to the participant as recommended by the UBD-FPT Global Centre or if deemed justifiable; for example if found guilty of misconduct or deemed medically unfit (as advised by an accredited physician) to meet the requirements of the programme. In such cases he is to lecve Vieinam at his own expense. Participants will return to their respective home, countries upon completion of the programme with immediate effect. Any fees payable pertaining to the visa application/issuance will be at participant's own expense. FPT building, Road No. 1, An Don industrial zone, 593 Ngo Quyen, Son Tra district, Da Nang. Department of Agriculture (DA) Philippines launched the Agricultural Training Institute (ATI) Thematic Programs, as its extension and training arm through the Expanded Human Resource Development Program and Youth for Agriculture and Fisheries Program. The scholarship programs offered for degree and non-degree courses and training to strengthen the competitiveness and capacities of the AF sector in agriculture and fisheries. Offer a program of continuing education and expand existing program of scholarships in national and international institutions for deserving technical, scientific, and extension workers and practitioners in agriculture and fisheries. Intended for the permanent employees of the three major rural development-oriented line agencies namely Department of Agriculture (DA), Department of Agrarian Reform (DAR) and Department of Environment and Natural Resources (DENR), we offer an 18-month scholarship program to create a pool of managers capable of handling the dynamics in the rural development sector. This scholarship program support and encourages capable and deserving youth, particularly the children of smallholder farmers and fishers to pursue studies and professional career in AF. Scholarships will be provided through State Universities and Colleges, private colleges and universities approved by the ATI Capability Building Program Committee. In partnership with the Foundations for People Development, Inc. - Molding Future Innovations (FPD-MFI), we offer a two-year scholarship program to the members of 4-H clubs nationwide. This is especially focused for the out-of-school youth (OSY) and high school graduates to equip them with knowledge and skills in agriculture and entrepreneurship technology. The program aims to have a new generation of farmers who will continue and sustain the agricultural activities in the country, ensuring food security for all. In collaboration with the Japan Agricultural Exchange Council (JAEC) and Japan Ministry of Agriculture, Forestry and Fisheries (Japan-MAFF), we offer a training program for male OSY Filipino farmers with two years of farming experience. This program will equip them with technical knowledge and skills in agricultural and cooperative management; offer them learning opportunities on agricultural information; as well as appreciate the Japanese culture work and values. 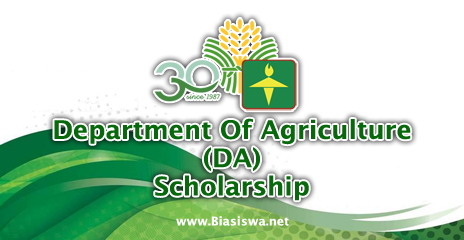 Visit the application link below to read and download related information about Department Of Agriculture (DA) Scholarships Program. Apply for Fulbright Awards for Filipinos today. 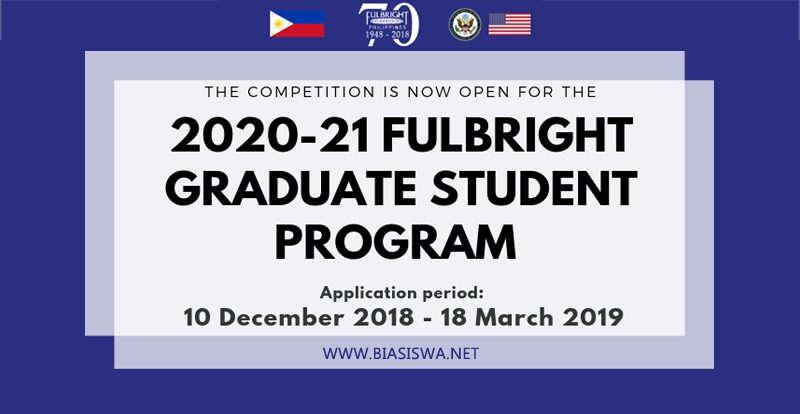 The Philippine-American Educational Foundation (PAEF) announces the opening of applications to the 2020-2021 Fulbright Graduate Student Program. Filipino faculty and professionals are invited to apply. The Fulbright Scholarship Program is a competitive, merit-based scholarship program that provides opportunities for graduate degree and non-degree studies at United States universities. Study Levels: Graduate level (master's or doctoral studies) or pursue non-degree doctoral enrichment or doctoral dissertation research. Benefits: Round-trip international travel, monthly maintenance allowance, tuition and fees, book/supplies allowance, and health and accident insurance. Study of the United States - the study of American culture, life and society through such fields as government, education, arts and humanities, law, economics, literature, history, the multi-disciplinary field of American Studies or any other humaniities or social science field with significant study of the US subject matter. Global Issues - Fields of study include the environment, human rights, governance and public administration, peace studies/conflict resolution/transformation, international relations and transnational issues, international economics, international business, international law, public health and STEM fields. Open Grants - Fields of study not covered by the first two field categories with the exception of medicine, nursing, physical and occupational therapy, clinical psychology, medical technology, and accountancy. Individuals holding dual citizenship, are permanent residents and/or are presently studying in the US are not eligible to apply. 1. Application period for 2020-2021 Graduate Student Program is from December 10, 2018 to March 18, 2019. 2. Printed copy of completed applications must be received at the Philippine-American Educational Foundation (PAEF) office on or before March 18, 2019. 3. Grantees are expected to begin their studies in the U.S. late August or early September of 2020. Global Undergraduate Exchange Program (Global UGRAD) 2019 - The new call for applications are now open for Global Undergraduate Exchange Program (Global UGRAD). 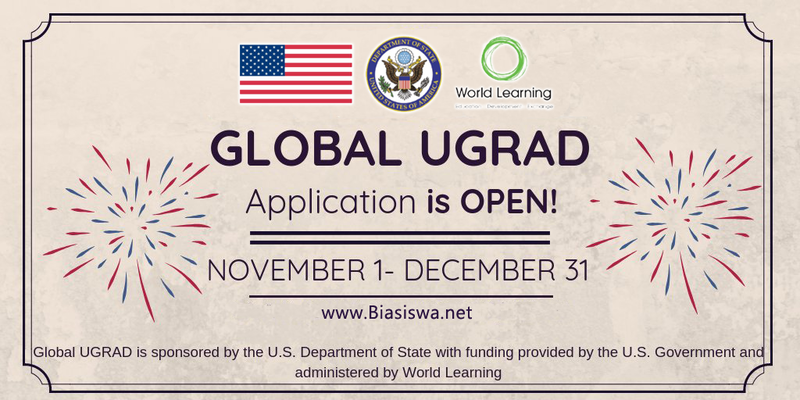 Global UGRAD is sponsored by the U.S. Department of State with funding provided by the U.S. Government and administered by World Learning. The Global Undergraduate Exchange Program provides a diverse group of emerging student leaders with a scholarship for one semester of non-degree academic study at a U.S. college or university. This program aims to recruit participants from underrepresented, non-elite backgrounds, who have not had other opportunities to study in the United States. Successful applicants can expect an in-depth exposure to U.S. society, culture, and academic institutions, as well as opportunities to enhance their professional skills. All participants will be enrolled in full-time, non-degree, undergraduate course work chosen from their host institution's existing curriculum. Participants will be required to take one, 3-credit U.S. studies course to enhance their understanding of the United States. Participants will live in campus housing facilities with American peers, and will be required to participate in twenty hours of community service. There will also be a virtual arrival orientation and an in-person end-of-program workshop. Individuals holding dual citizenship, are permanent residents of the U.S., and/or are presently studying in the US are not eligible. Applications must be submitted through World Learning's online application portal from link below. A step-by-step student guide for the online application can be download here. The deadline for submission of applications is on December 31, 2018, 5:00pm EST. 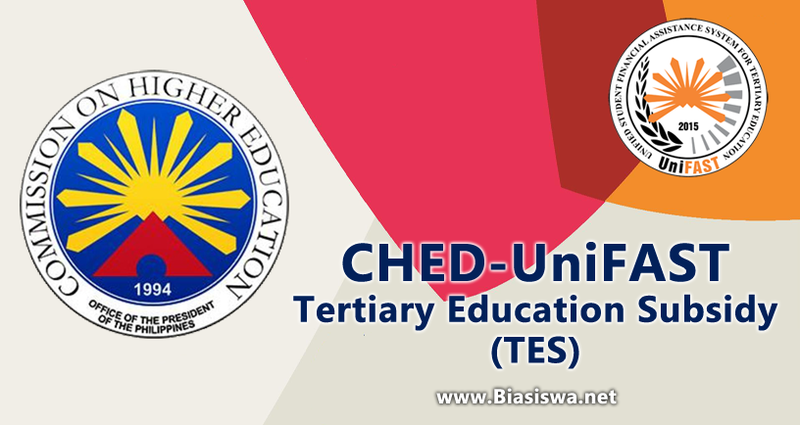 CHED Scholarship PhP4.8-B Tertiary Education Subsidy (TES) - CHED Scholarship for TES Program release to students in public universities. The Tertiary Education Subsidy (TES), as one of the core programs under the Republic Act (RA) No. 10931 also known as the Universal Access to Quality Tertiary Education Act (UAQTEA) is now fully felt by millions of students enrolled in State Universities and Colleges (SUCs) and Local Universities and Colleges (LUCs) with funding of PhP16 billion from the national government. The TES is a grants-in-aid program that provides funding for all Filipino students from the poorest-of-the-poor households who are currently enrolled in the 112 state universities and colleges (SUCs) and 78 CHED-recognized local universities and colleges (LUCs) and whose names appear in the Listahanan 2.0 or the Pantawid Pamilyang Pilipino Program (4Ps) list of the Department of Social Welfare and Development (DSWD). TES beneficiaries in public universities get PhP40,000/year. In the meantime, those studying in private universities get Php60,000. This grants-in-aid program is intended to support the costs of college education, particularly use for books and other education-related expenses such as transportation, supplies, room, lodging and board fees. Under CHED scholarship all students in SUCs and LUCs are given a subsidy and enjoy free tuition and miscellaneous fees. The TES is an additional benefit given to financially-needy students. ACU Queen Elizabeth Commonwealth Scholarship 2019 - The new call for applications are now open for Queen Elizabeth Commonwealth Scholarship (QECS) 2019. 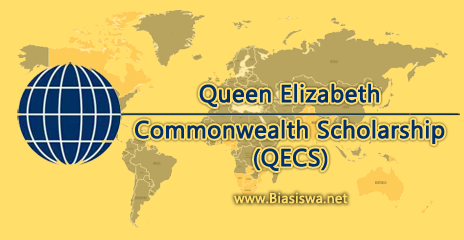 Queen Elizabeth Commonwealth Scholarships (QECS) give brilliant scholars from anyplace in the Commonwealth the opportunity to achieve a Master's degree, while growing new skills, experiencing life in another country, and building their universal networks. Scholarships are for scholars devoted to creating change in their communities and contributing to the Sustainable Development Goals (SDGs). The scholarships are named in honour of Her Majesty The Queen, Head of the Commonwealth and ACU Patron, and are fully sponsored and funded by several Commonwealth governments and authorities. 1. The mode of application is online through the official link below. 2. Select which university you want to apply for from the list of universities. 3. Open the university application link, make a profile and fill out the online form - be sure to save a record of your log in details! 4. You can submit more than one application as long as they are for different host countries/universities. However if you submit two applications for one host country/university only the first application submitted will be considered. Applications close at 4pm GMT on 6 February 2019.